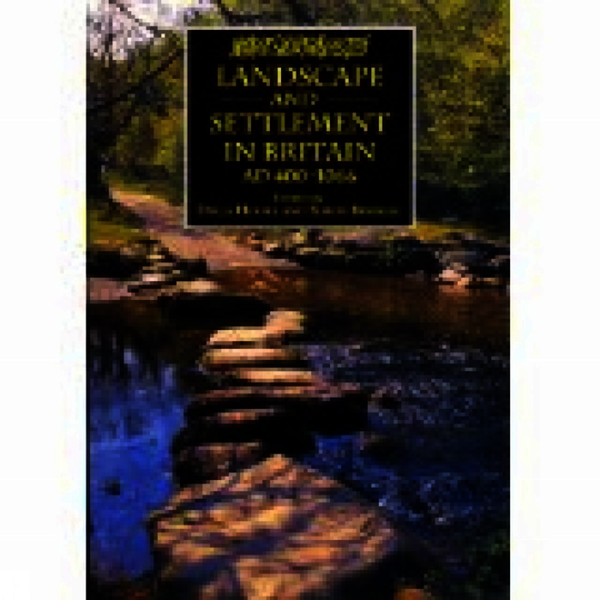 This book examines recent views on the emerging settlement patterns of early medieval Britain and their relation to land use, drawing on both archaeological and documentary sources. Simon Esmonde Cleary takes the study from the later Romano-British into the post-Roman period; Christopher Holdsworth examines the re-emergence of Christianity in sixth-century England, the location of minsters and their role in the economy. The problematic theme of continuity or dislocation recurs in a number of chapters and is closely investigated by Peter Rose and Ann Preston Jones in their chapter on Cornwall, a region marginal to the main thrust of Anglo-Saxon cultural influence. Ethnicity as a factor for change is challenged and Colleen Batey, looking at Northern Britain, finds that archaeology fails to identify with any degree of certainty the specific Scandinavian house type in the uplands. Della Hooke presents a more general summary of the period across England, noting the evidence for the emerging landscape regions which were characterized by particular settlement types and field systems and, in a case study of the Failand ridge in North Somerset, James Bond sets the evidence within a much broader time scale, revealing the gaps which still caracterize our knowledge of the early medieval period. Della Hooke is part-time Senior Lecturer in Historical Geography and Landscape Conservation at Cheltenham and Gloucester College of Higher Education, after many years as a Research Fellow in the University of Birmingham. Simon Burnell taught early medieval archaeology in the University of Exeter from 1990 to 1992, and has since taught at the universities of Berne and Zurich. He works as a freelance consultant and is based in Suffolk. ... a fascinating insight for historical geographers, historians and archaeologists. A good introduction to current debates, research preoccupations and methodological approaches, as well as giving the specialist much food for thought. Simon Burnell taught early medieval archaeology in the University of Exeter from 1990 to 1992, and has since taught at the universities of Berne and Zurich. He works as a freelance consultant and is based in Suffolk. Dr Della Hooke is an Associate Member of the School of Geography, Earth and Environmental Sciences in the University of Birmingham, editor of 'Landscape History' (the journal of the Society for Landscape Studies) and editor of the 'Birmingham and Warwickshire Archaeological Transactions'. She specializes in studies of the development of the historical landscape in England and Wales, especially in the early medieval period. Her recent publications include 'England’s Landscape: The West Midlands' (English Heritage/HarperCollins 2006) and 'Trees in Anglo-Saxon England: Literature, Lore and Landscape' (Boydell 2010).